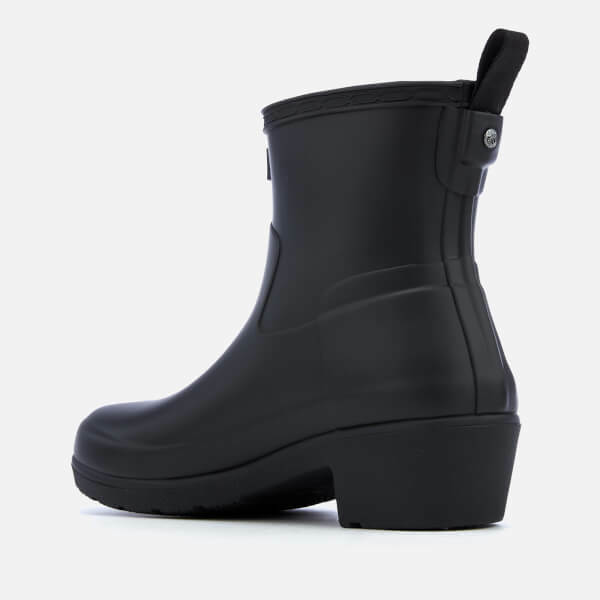 Low cut black Hunter wellies with a chunky black heel. 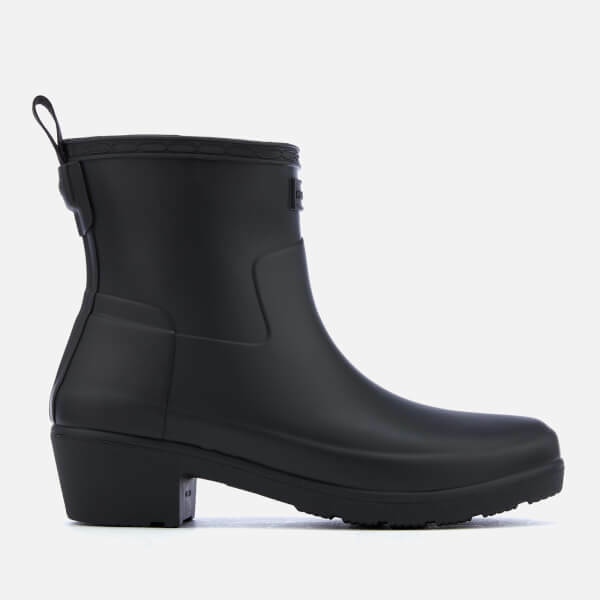 Handcrafted from natural rubber with a matte finish, the ‘Refined’ ankle boots are fully waterproof with a lightweight design and a heel pull tab to easily. 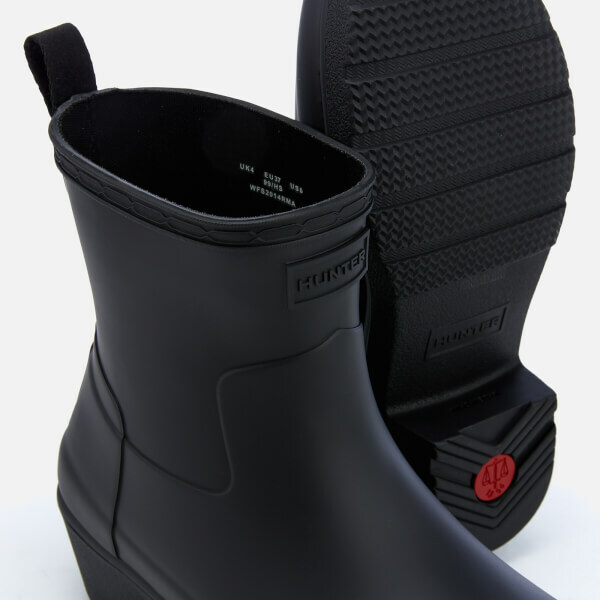 The boots sit on a rubber outsole with a Hunter Refined tread pattern for increased traction. 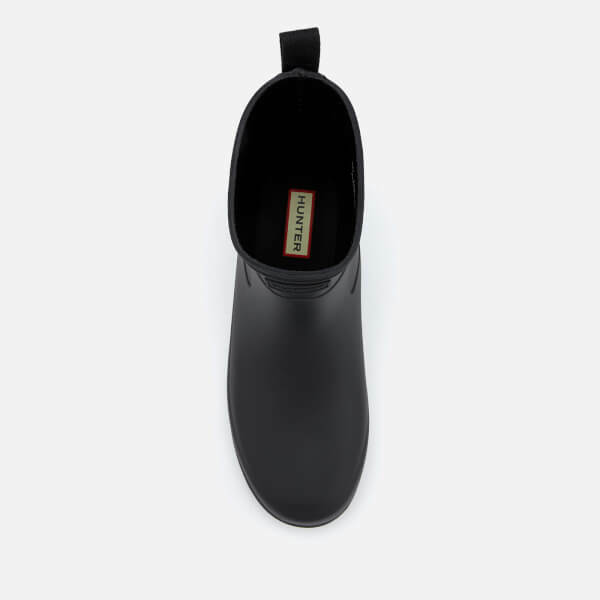 A tonal Hunter logo badge to the front completes the sleek design.